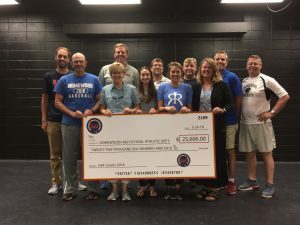 The Homewood Athletic Foundation gave their annual donation to the Homewood High School Athletics Director Doug Gann today. The HAF helps support and supplement all of the Patriot sports teams. To learn more on how you can donate or help the Homewood Athletic Foundation, click the link HERE.